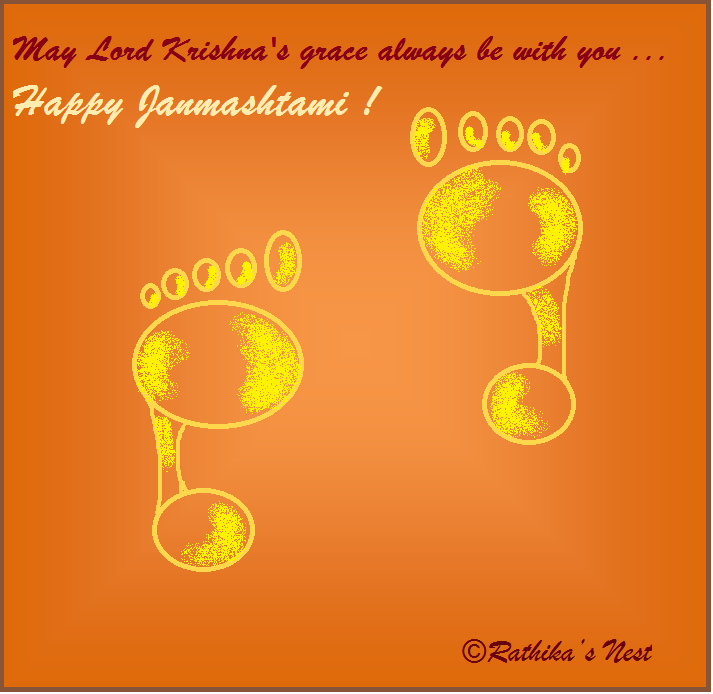 Janmashtami or Krishna jayanthi (கிருஷ்ண ஜெயந்தி) refers to the birth of Lord Krishna, on the eighth or ‘Ashtami’ (அஷ்டமி) day of ‘Aavani’ (ஆவணி), the 5th month of Tamil calendar. Lord Krishna was born when both ‘Ashtami’ and ‘Rohini’ star were prevailing. Janmashtami is usually celebrated by making savouries and sweets, which are offered to Lord Krishna during a special pooja. 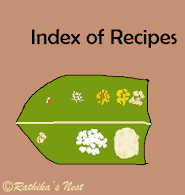 Usually murukku (முறுக்கு), thattai (தட்டை), salt seedai (உப்பு சீடை), sweet seedai (வெல்ல சீடை) and appam (அப்பம்) are prepared at home. Rangoli (மாக்கோலம்) is drawn using rice flour paste in the front yard and tiny feet impressions are drawn from the front yard, through the house up to the pooja room, indicating that Little Krishna has walked into each home to bless the family members. Prayers are offered to Lord Krishna requesting peace and well being of one and all. During our childhood, we would make a small palanquin (பல்லக்கு) using an inverted stool, cardboard, rope and poles; place a small idol of Lord Krishna inside; decorate it with colour papers and flowers; and carry it around along the street. Even today, ‘uriadi’ (உறியடி) is conducted in the villages during Krishna Jayanthi. This traditional sport requires the young lads to break the butter containing pot hung at a height. In some places, the pot is tied to the top of a tall slippery pole, and young men need to climb this pole to retrieve the pot. 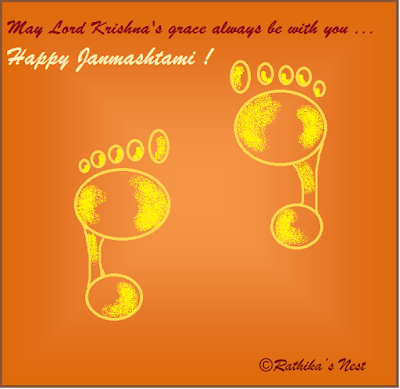 Celebrations on Janmashtami day are a delight to watch. On this auspicious day, I wish to send across my prayers for Peace and Love!